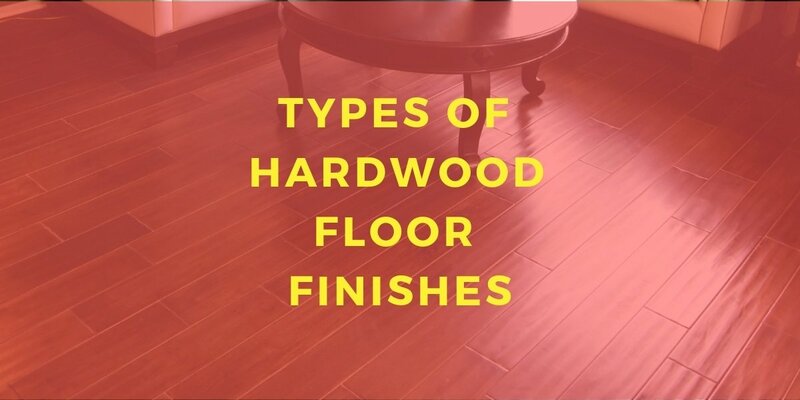 When it comes to choosing the finish for your new hardwood flooring, you have a lot of options to choose from. The type of finish you decide can ultimately affect how long the installation will take, and the type of maintenance your floor will require. When you buy a prefinished hardwood floor, the hardwood flooring already has the finish on. This finish is usually very durable and long lasting. The biggest downfall is that it may be difficult to get it refinished when the time comes. Polyurethane comes in two varieties – oil-based and water-based – and is the most common finish used today. Water-based polyurethane has low VOCs, but is not as durable as oil-based. Oil-based also has a longer dry time. Wax is an older finishing method that is not used as often anymore. It is an easy method that you can do yourself, but labor-intensive. It is usually used by homeowners who want a natural product with low VOCs and toxicity. The big downfall to wax is that it requires regular refinishing and it is susceptible to staining. There are several other finishing options, including shellac, moisture-cured urethane, and acid-cured finish. Acid-cured finish and moisture-cured urethane are considered at the higher end of finishes because they are extremely durable, but tend to be very expensive. It also has a high VOC content, like moisture-cured urethane, that requires you to leave the house for a few days while it cures. Shellac is another time-tested finish like wax that is natural and non-toxic. If you have more questions about the type of hardwood floor finish that will work best for your new floors, give us a call or stop by. We can help you make an informed decision that will fit your needs and your budget.